Every day brings bad news for Trump’s presidency. Every day is a reminder that this man is mentally, temperamentally, and politically unfit for the highest office. Every day also brings new risks to national security, which is in the hands of a commander in chief who is impulsive, uninformed, impervious to expert advice, and given to sudden movements that could mean war. Donald Trump must go, but how? Up until now I thought our and the nation’s best hope was that somehow, some way, the Republican leadership in Congress would feel compelled by Trump’s outrageous behavior to start the ball rolling toward impeachment. Trump’s bald-faced interference on Flynn’s behalf leads me to a different denouement: his resignation, forced by the same Republicans who would otherwise never be persuaded to start impeachment proceedings. What is the decisive factor now? Trump’s clear obstruction of justice may be the tipping point for Republican leaders who see no way that a conservative social and economic agenda can be achieved with Trump in office. Trump’s criminal interference shortens the timeline, and feeds their well-reported impatience with him. The Republicans knew all along that Trump was a wild card; but they had no idea how extraordinarily difficult his conduct would make their job. Now they surely must see that their preferred road ahead is going to be eternally blocked by Russiagate investigations. Immigration, taxes, health care, infrastructure jobs, environmental protection laws, abortion, border security—dramatic legislative changes the Republican leadership had planned in all these areas simply cannot move forward with Trump at the helm. In short, I believe the Republicans are going to decide that they cannot keep sitting on their hands, making up excuses for Trump while watching their moment for remaking America slip by. The other side of the coin for Republican leaders is a Pence presidency: Would it make their life easier? From their perspective, I believe they would think so. To be sure, Pence would lose a fair number of Trump working-class supporters as well as the Breitbart-Bannon wing of the conservative elite. But Pence would be much more ideologically in tune with Ryan and McConnell, and far more devoted to pushing their legislative agenda. The Republicans would still have the edge in Congress, and under Pence would have a better chance than under Trump to keep that edge in 2018. Maybe they would have to bend a little when dealing with the Democrats, but bending might now look much better than breaking. So at the risk of engaging in wishful thinking, I am going to predict a Republican turnabout on Trump. Its leaders are going to push Trump to resign “for the good of the country and the party.” And Trump will decide that resignation—“I never liked the job anyway, and running my empire in more fun”—is a better way out than suffering the prolonged indignity of the impeachment process. To which the Republicans will say, amen. I fear a 3 year (7year?) Pence Presidency will create more problems for the United States and the world than another two years of Trump. I wish Trump would slow down his crash and burn a bit. I hope he fully enmeshes Pence in his crazy so he doesn’t not have any goodwill when he becomes president. You agree with Douthat today. You make a persuasive case for how Republicans might move forward. But given Trump’s cluelessness, tendency to blame everyone else for problems, and outsized ego, I have a hard time seeing him agreeing to resign. He just couldn’t handle being labled as the “failed” president. Good points. Hopefully, the Republican leadership will give him no choice: it’s either resignation or impeachment. 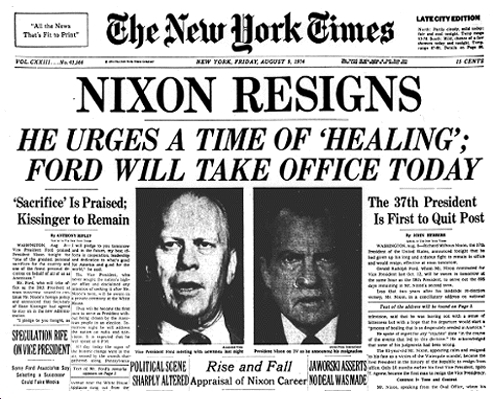 I think it is apropos to watch what you ask for in the proposition of having Trump resign. I think you are correct in stating that the Republicans will be in a better position to move their agenda under a Pence administration. Personally I am afraid of Pence and his ability to push through a conservative agenda. To that end I am fine with Trump stumbling till the 2018 mid-term elections. Hopefully by that time, Trumps 2016 voters will be disillusioned with his lack of legislative success and sit out the 2018 mid-term elections. Mel: A plausible scenario, but one of many, and none seem probable or even highly possible. swallowed a baby sock and adhesive tape protecting his damaged foot. Comment: You are right, as I see it, that Pence would be better for the mainstream GOP agenda, thus Trump goes under the bus. enough, if maintained or expanded, to flip the House and/or Senate in 2018. Question: Perhaps we need a lawyer for this, but would Trump be more vulnerable to prosecution and persecution if he resigned? I think this may be the big barrier to resignation.